Although burglar alarms are the best deterrent for keeping intruders from breaking into your home and protecting your family, today’s burglar is smarter than ever and can at times figure out what they need to do in order to disable your alarms. 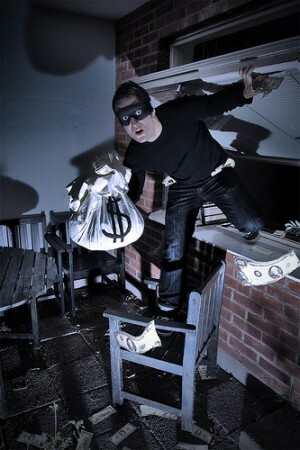 This is evidenced by recent statistics about burglaries and the fact that one occurs every 12 seconds in the US. The most cost-effective way to protect your family, home, and possessions is by installing one of the many burglar alarms currently available on the market. Burglar alarms have become very sophisticated in recent years due to a number of innovations and technological advancements. Many burglars are well aware of this and continue to figure out how to disable these systems which leads to more advancements and innovations in the process. Surprisingly, today’s burglar has gotten very creative when it comes to disabling these alarms. Door and window sensors typically operate using a magnetic connection. When the magnetic connection is broken by opening a door or window that is protected, the alarm is triggered. Many a burglar has figured out how to bypass door and window sensors so they do not trigger the alarms using a small strip of tin foil. The foil strip is passed in between the magnetic connection and basically does the same job that the connection does. As long as the foil contacts the magnet, the alarm will not be triggered. Most of the burglar alarms today employ sirens that are wired into the home’s electrical source. If the wire that connects the siren to the system is exposed, it is very easy for the intruder to disable it by simply cutting the wire. Additionally, the main power source to the home can also be severed which will entirely disable the whole system, sensors and all. This is just another reason to employ a battery back-up should the main power source be interrupted, whether a burglar cuts the wire or there is a power outage. The intruder can also keep from activating burglar alarms using brute force and breaking the glass on the window, provided you have not installed a glass break sensor. They still have to be careful and not disrupt the magnetic connection on the window. But if the intruder has cased the home and knows exactly what he wants to steal, he can be in and out of the home before the authorities arrive and catch him in the act.